Hello Doodlebug fans! Monique here, to share a "I'm thankful for ... " layout. I find there's so very much to be thankful for and I love scrapping about it. In this case I chose to scrap about my friends.... how different life would be without friends! So yes, I'm very very thankful for my friends! I used Doodlebug's "Happy Harvest" collection and can I just say that I adore this collection: the warm colors and all those super cute embellishments! Scrapping with this collection made me so happy! I know, I say that about every Doodlebug collection, but it's how I feel. The leaves (both red and blue) and part of the title were cut with the Silhouette Cameo. 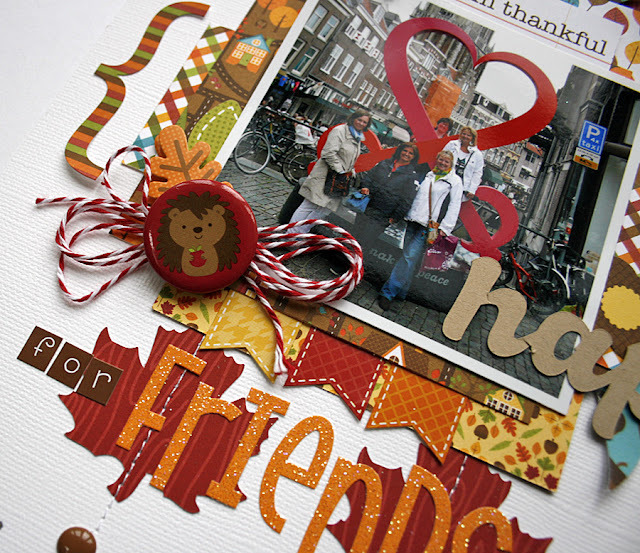 Thanks for visiting Doodlebug's blog today and happy scrapping! This page is awesome, Monique! 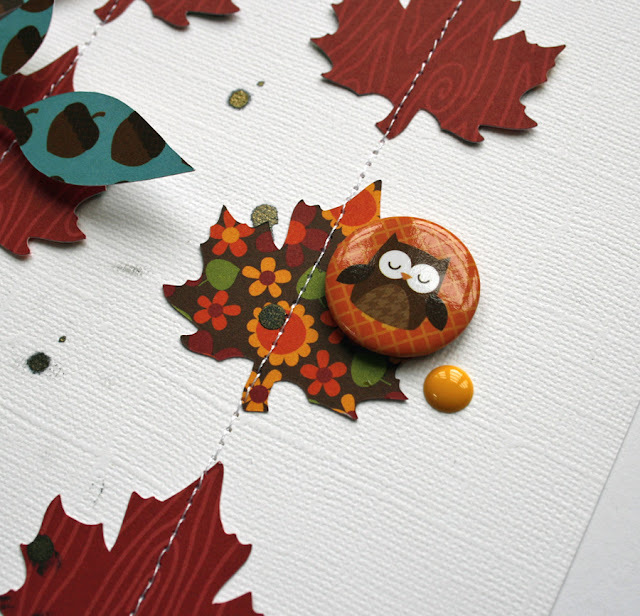 I love how you created the background with the leaves! LOVE those leaves Monique...and the flair are just too cute!